Looking for cute homemade Christmas tree ornaments to make? 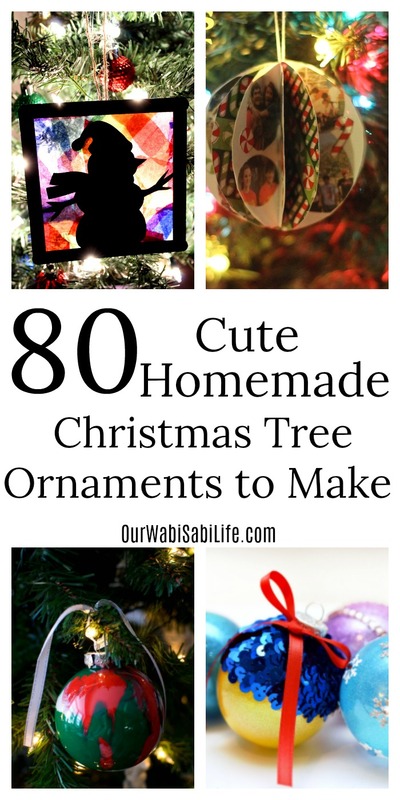 Here are 80 DIY Christmas ornaments that you can make this year. We have a tradition in my house. I make each person a DIY ornament with their names on it. It was something I had wanted to do since I was a kid. I have made some, some I think I will redo them at some point. But it is a special Christmas tradition that each person puts their own DIY Christmas Ornaments on the tree. This year I will be making one for my grandson who was born this year. There are so many different types of DIY ornaments that you can make. I prefer the cute homemade Christmas tree ornaments because when I hand up a DIY ornament it always makes me smile. The kids love to be able to see the homemade ornaments that they have made in the past. The homemade Christmas ornaments are their favorites, and mine too. When looking for cute Christmas Tree Ornaments there are many kinds that you can make. There DIY Glitter Ornaments and DIY Snow Globe Ornaments, character ornaments and then just things that are related to Christmas. Here are 80 beautiful, fun DIY Christmas ornaments to make.